The new Evoque and XE are Jaguar Land Rover’s major stars at Milan Design Week. Each exhibition explores the design identities of both vehicles, with exclusive art pieces and techniques helping to tell the story. Through the use of artistic creations, Land Rover is celebrating the new Evoque’s ethos of responsible luxury, through an exhibition and two outdoor installations. 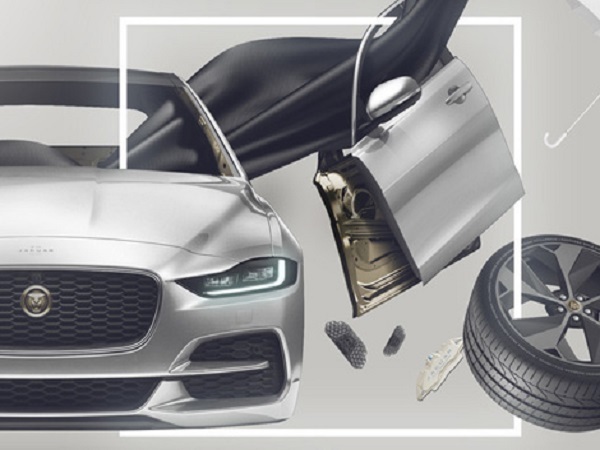 Each display will show how it is possible to create a sustainable future for the automotive industry through the combination of design, beauty, technological innovation and high performance. Visitors to the gallery exhibition will be able to explore the new Evoque in three stages. Starting in the Responsible Luxury Area, they will learn about the natural and recycled fabrics used in the new vehicle, before exploring the digital technologies in the Innovation Lab. 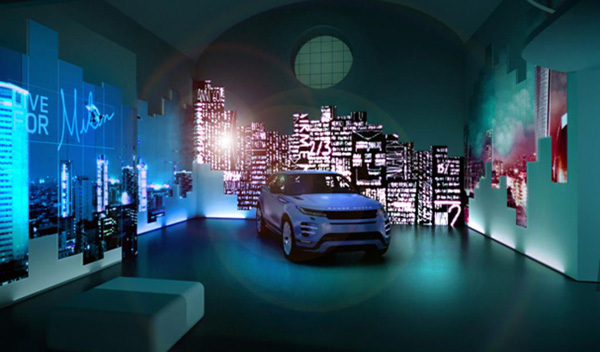 The Reveal Area will give viewers an immersive digital experience ahead of the Evoque being revealed in the metal. Meanwhile, two art installations across Milan will pay tribute to the urban world and its power to inspire designers. Located in the Piazza XXIV Maggio will be a four metre tall giraffe carrying a chandelier, which illuminates an Evoque wire form. Designed by duo Giovannoni e Marcantonio, the piece is intended to celebrate the energy of the urban jungle. Fashion designer Elena Ghisellini has covered her Evoque wire form in rainbow-striped Ecofur, which acknowledges the colourful refuge of childhood. 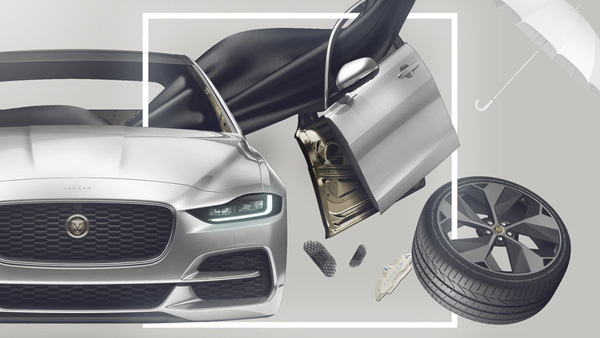 Jaguar is using the new XE to explore the brand’s design identity, with the installation illustrating the essence of the brand, redesigned to respond to a contemporary society always on the go and in search of new directions. Ian Callum, Jaguar Director of Design, said: “This installation is an opportunity to demonstrate the beauty of Jaguar’s style and engineering using the new XE, which is the freshest interpretation of our Jaguar design philosophy. ‘The Future Legacy’ exhibition is a game of reflections allowing visitors to re-evaluate Jaguar’s design and lead them on a journey through heritage and innovation, with the new XE revealed at the end. With the help of a deconstructed silhouette of the new car and redesigned components placed around the space, guests will be able to reconstruct it using a number of mirrored surfaces, which accentuate space and highlight details. Milan Design Week runs from 9 April until 14 April, with exhibitions, events and presentations hosted all across the city.